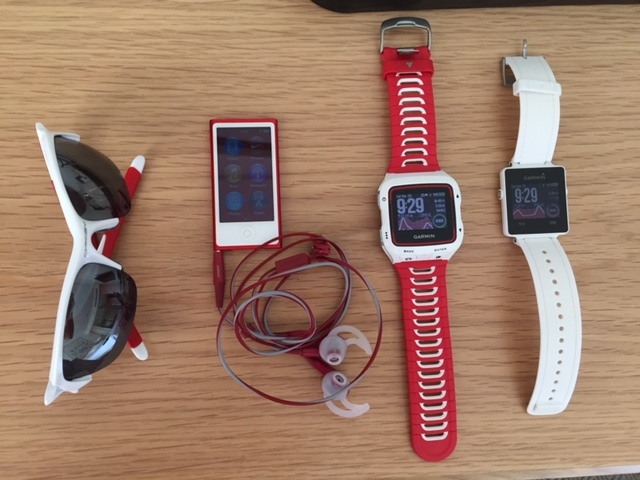 I promise I didn’t mean to do this… but it seems like most of my running gadgets match … with a red and white theme. My Liverpool supporting brother Ewen would be proud. 😉 Even the watch faces are red black and white. (If I really was wanting all of my gadgets to match I would have got a white iPhone, but it’s black – so don’t worry I’m not that bad). I promise I didn’t mean to get them all to match – although I do like the colour red. (Like orange and yellow and pink too! ).